Open-Dutch 2019 date announced: Saturday 26th of January 2019! Mark your calendars, the open-dutch 2019 edition will be held on Saturday 26th of January. The 2018 edition was great, but some feedback we received from our competitors outside of the Netherlands was that Saturday would be easier. 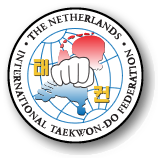 Considering it is our aim to organize a tournament with the top European competitors we decided to move the tournament from Sunday to Saturday to accommodate people from outside of the Netherlands. We hope this will result in an ever better and bigger tournament! We will start prepping in the upcoming months, so expect regular updates on this website!